The concept of train yard as a center of operations for switching, long-haul vehicle assembly, transfer of goods, refueling and repair is not unrealistic for the space infrastructure. As we shall see the energy requirements are greater for mobility in the vicinity of Earth than to reach LEO. 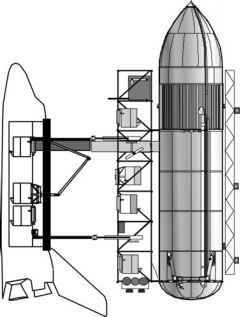 There is a clear need for a nuclear powered tug for orbital transfer to LEO to geostationary orbits (GSO) and return, see Chapter 7. There is a need also for collecting, for repair or disposal, non-functional satellites in LEO and GSO; refueling of sustained-use satellites; orbital busses and tugs; and, generally speaking, for sustained in-orbit operations and maintenance. As we shall see, this implies a first step that must be taken as far as propulsion to anticipate the future.